Welcome to the Glaucoma Center of Michigan! We take great pride in providing the finest quality care for our patients with their problems with glaucoma and cataracts and hope that our web site will help to acquaint you with our practice. We have the special knowledge, testing capabilities and treatment procedures. This website can answer questions about Glaucoma Center of Michigan and what you can expect during your visit. If you have additional questions, please do not hesitate to call us at (248) 356-0098. The Glaucoma Center of Michigan (GCM) was the first facility in Michigan dedicated exclusively to the evaluation and treatment of glaucoma and cataracts. 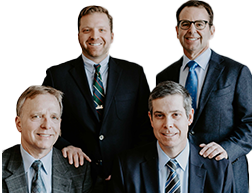 Our glaucoma fellowship trained physicians have the most experience in providing the highest quality of care for complex glaucoma and cataract problems in the state of Michigan. Cataract surgery allows many options to improve the vision for patients both with and without glaucoma. Our surgeons fully utilize the appropriate lens replacement options, ranging from monofocal lenses, toric implants and various multifocal IOLs (Symfony and Restor) all individually tailored to our patient’s needs. Read more about what choices are available for your specific problem and how cataract surgery alone or combined with glaucoma surgery can improve your ability to see and function at your best. The GCM team has developed a thorough list of questions with detailed answers so you feel comfortable throughout the entire process. In this section you will find a list of items that you may need to bring with you, as well as information about what to expect during your visit and the insurance providers accepted. If you are considering the Glaucoma Center of Michigan for treatment or surgery, please don’t hesitate to call or email with any questions or concerns. Below you can find a list of items that you may need to bring with you when visiting one of our Glaucoma Center of Michigan locations and meeting with one of our physicians. Some of the items listed below may not be required at this time for patients who are return visitors of the Glaucoma Center of Michigan. If you have any questions or concerns regarding this or any other matter pertaining to Glaucoma Center of Michigan's policy or staff, please call or email us at any of our locations. "Excellent service and staff, amiable and knowledgeable. Five-star ratings across the board!" "This is the best office ever, and I have been to plenty of them!!!"